Contact the Olde Mill Inn, a classic American inn and restaurant situated in the beautiful Somerset Hills, combining luxury and charm graced by a beautiful courtyard and gazebo. With lush gardens and a stonewall terrace offering balcony courtyard views, the Olde Mill Inn Basking Ridge NJ hotel provides a tranquil retreat for business and leisure travelers. Stay in our allergen-friendly, PURE room accommodations, enjoy complimentary breakfast and discover an abundance of high-end amenities. Contact the Olde Mill Inn today! 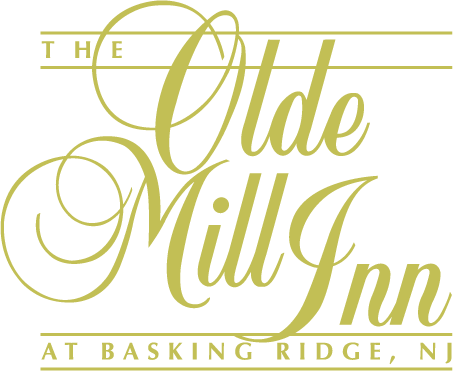 The Olde Mill Inn is located off Interstate 287: Exit 30B. Bear right off the exit; the property is on the right just before the intersection. From Newark Airport: Take Route 78 West 10 miles to Exit 48-Route 24 West. Take 24 West 10 miles to Route 287 South. Take 287 south 9 miles to Exit 30B. From Upstate NY: Take NY Thruway South past NY State/NJ State border. Road becomes 287 South. Approximately 30 miles to Exit 30B. From Westchester/Tappan Zee Bridge: Route 287/87 West across the Tappan Zee Bridge. Continue west to Exit 15 – 287 South. Approximately 40 miles to Exit 30B. O From South Jersey: Take the NJ Turnpike North to Exit 100R Garden State Parkway North to Exit 127. Exit to Route 287 North. Approximately 30 miles to Exit 30B. From New Hope, PA (NJ/PA Border): Take Route 202 North to 287 North to Exit 30B (Total trip 40 miles). From West Jersey & PA (Allentown Vicinity): Take Route 78 East to Exit 29 – Route 287 North. 8 Miles to Exit 30B. From West Jersey & PA (Poconos Vicinity): Take Route 80 East about 30 miles to Route 287 South to Exit 30B. From Philadelphia: Take Route 276 East about 5 miles to NJ Turnpike North to Exit 10. Take Route 287 North about 30 miles to Exit 3013. From New York City and Long Island: From the George Washington Bridge take Route 80 West 27 miles to Exit 43 – 287 South. 12 miles to Exit 30B. From New York City/Holland Tunnel: Take the Holland Tunnel to the NJ Turnpike to Exit 14- Route 78 West. Take Route 78 West 10 miles to Exit 48 – Route 24 West. Take 24 West 10 miles to Route 287 South, 9 miles to Exit 30B.